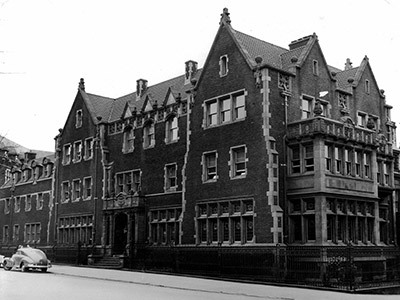 The consolidation of two previously separate institutions, Pittsburgh-Xenia Theological Seminary of the United Presbyterian Church of North America and Western Theological Seminary of the Presbyterian Church in the United States of America in 1959, led to the formation of Pittsburgh Theological Seminary. Following the union of the two denominations in 1958, the seminaries consolidated. 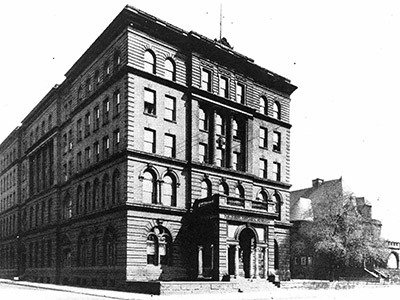 The history of the Pittsburgh-Xenia Theological Seminary began with the founding of Service Seminary in 1794 by the Associate Presbytery of Pennsylvania. Prior to that time, the Presbytery was dependent on a supply of ministers sent from Scotland. The Rev. John Anderson, D.D., was elected as the first teacher of divinity and the school began with an enrollment of six students. Service Seminary moved twice, first to Ohio where it became Xenia Theological Seminary and later to Missouri. In 1930 it merged with a seminary that was founded in Pittsburgh in 1825 and together they formed the Pittsburgh-Xenia Theological Seminary. This institution was later augmented by the resources of Newburgh Seminary, founded in New York City in 1805 by John Mitchell Mason. 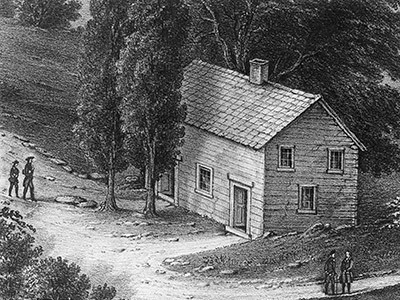 The other branch of our pre-1959 history began with the establishment, in 1785 by Joseph Smith and in 1787 by John McMillan, of classical academies in Washington, Pa.
From these the General Assembly of the Presbyterian Church in the United States of America created Western Seminary. It was indeed a western seminary in 1825, furnishing a ministry for the rapidly opening frontier territories along the Ohio River. Since the 1959 consolidation, Pittsburgh Theological Seminary has been located on the old Pittsburgh-Xenia Seminary campus in the Highland Park/East Liberty section of Pittsburgh.